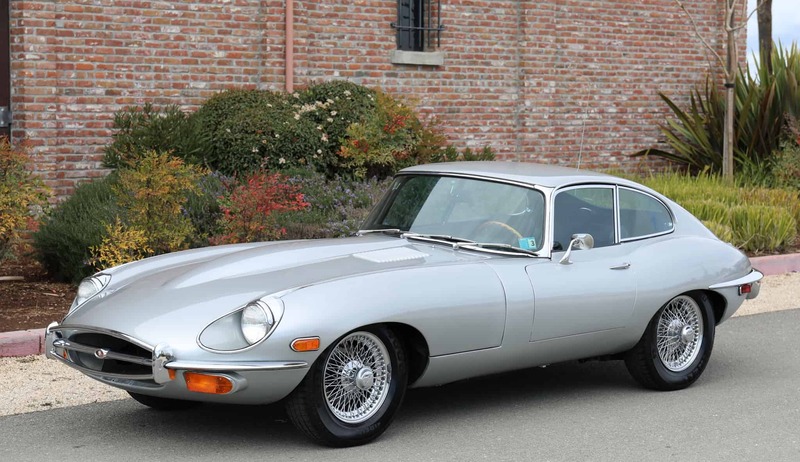 1969 Jaguar Series 2 E-type Fixed Head Coupe: Garaged California car; solid-original floors (new inserts); numbers matching engine and transmission (per Heritage Certificate); excellent body gaps; low miles; brand-new upgraded air conditioning just installed ($8000). Beautiful condition in/out; drives nice; excellent original silver/black color combination from the factory. Previously owned by a Oakland doctor with a small collection, purchased through Fantasy Junction in Emeryville 15 years ago and rarely driven but well-maintained. We go to extents to document our cars in pictures and provide the most transparent listings on Ebay. Please study the pictures carefully rather than requesting descriptions. Please complete any inspections or ask any questions prior to bidding or committing to buy the car. Thanks for the interest!